10 Good Manga That Needs an Anime Series | Nerd Much? Like many heroes in American comic books, series start out on the pages and eventually make it to the big or small screen in the form of live action films, Netflix originals, or animated cartoons. In Japan, it isn’t much different. Many beloved anime begin as good manga, or comics that publish in magazines and book volumes. Although a manga’s success is highly dependent on if it will eventually be animated, some very great series have never gotten a show that they deserve. The list below covers 10 great manga series that should eventually get an anime adaptation in the future. 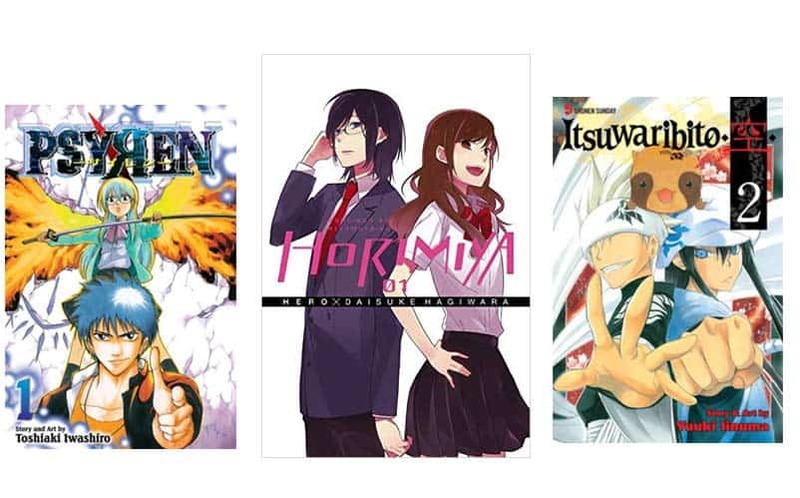 Note: The series listed here are just a fraction of the many manga that deserve an anime, especially older titles. Shounen Jump is known for publishing some of best known manga in Japan, including the “big three”, One Piece, Naruto, and Bleach. 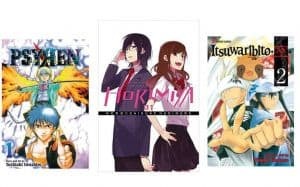 Besides the big three, Shounen Jump has released many memorable titles featuring action packed scenes, memorable characters, and long-running plot lines. 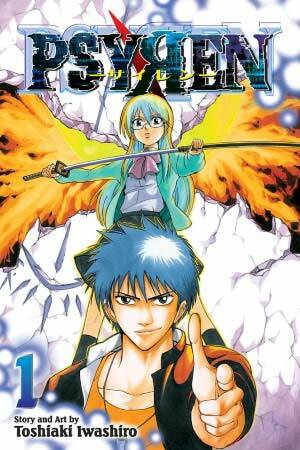 Psyren, a SJ manga that ran from 2007-2010 in 16 volumes is a fan favorite that surprisingly does not have a show, or even an animated feature film. In Psyren, a teenager is selected to participate in “Psyern games”, in which those who are chosen must fight to get back to their world. Giving off a definite dystopian death game vibe that has been present in many series the past few years, Psyern would definitely be a good candidate for the next new animated show. 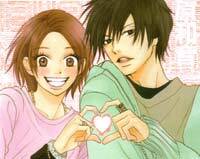 Manhwa, or manga-style comics produced in China or Korea, have been gaining popularity in the Japanese/anime world. 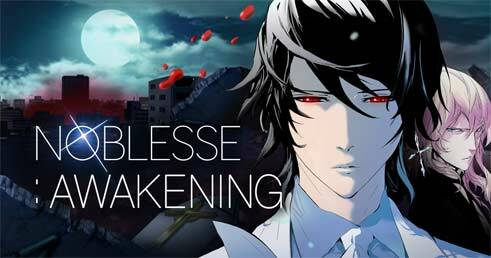 Noblesse, one of the most popular manhwa/web toons, follows a noble figure who wakes up centuries later in modern times, having to deal with new technology and school life, all while uncovering his mysterious past. The series has gained quite a following online, and it has even received an animated movie that released this February. However, many fans expressed that they would like to see Noblesse as a full length animation. Hopefully with the success of the movie this can be a possibility. 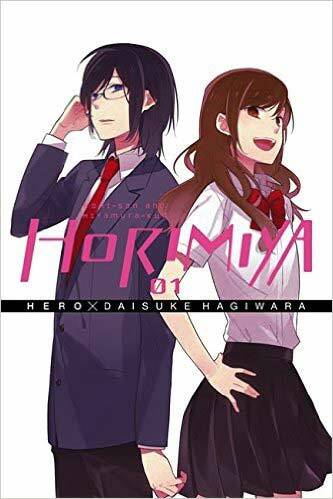 Published by Square Enix, Horimiya is a delightful school life romantic comedy featuring two characters who are very different than they appear to be in day-to-day life. Hori, a high school girl, takes care of her brother in her parent’s absence, having a nonexistent social life. However, no one knows her secret, assuming she’s a normal girl. One day she meets Miyamura, a strange glasses-wearing student who also has “another life”. It’s really interesting how the series depicts the struggles of teenage years, all while presenting a fantastic story. With shoujo comics are getting more adaptations, Horimiya definitely deserves a spot one day. 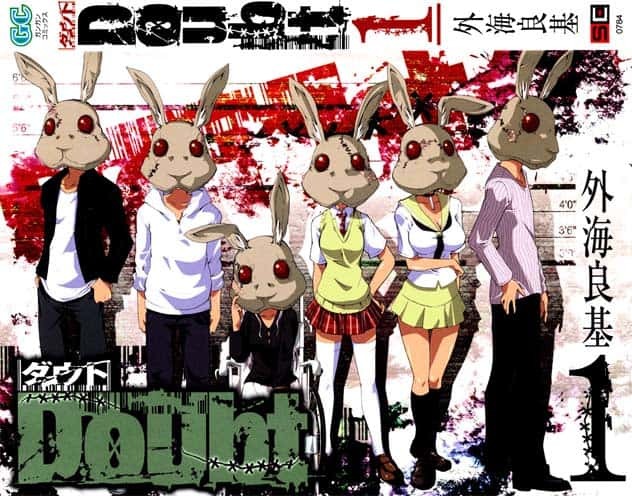 Rabbit Doubt, a mafia-like cell phone game, becomes part of real life when six participants must find the “wolf” among a “herd of rabbits” or be killed off one-by-one. Although this genre is overdone to an extent, Doubt offers an interesting spin that isn’t too generic or predictable. Besides this, death game anime have been popular, so it is surprising that this popular comic hasn’t seen a small screen adaptation. It’s also important to note that Doubt is a series, with a sequel called Judge. This offers plenty of content for at least a 12 or 24 episode anime. One of the most popular manga in Japan, 7seeds is set in a post-apocalyptic universe due to a meteor crash into the earth. After waking up from being cryogenically frozen, groups of young adults and one trained survivalist must decide how to survive in the new world with animals and creatures that have evolved, facing threats every day. The relationships between the characters are a great point of the series, as well as the setting and narrative. 7seeds currently has 30 volumes of good manga and is still ongoing, making it a great candidate for a long series. After a plane crash on an uncharted island, middle school students in Cage Of Eden find themselves in a predicament. They are are in a land with no rules, government, and deadly prehistoric animals out for blood. Akira, the protagonist of the story, is very interesting and is different than the generic shounen hero. Instead of having a special power or being “exceptional”, he considers himself worthless. However, when faced with many situations, Akira is brave and levelheaded, saving several lives throughout the course of a story. Cage of Eden would be a good show due to its action packed scenes. It’s also complete, so the entire manga story could be adapted. 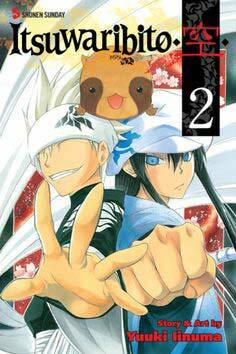 Hopefully one day this good manga series will get the anime it deserves. Not your typical shoujo manga, Oresama Teacher follows the life of Mafuyu Kurosaki, a delinquent girl who’s notorious for fighting gang members and leaders. However, she is in trouble and threatened to be disowned by her mother after being caught by the police. She is forced to go to a new school and become a member of the “public morals club”. Adding to the mix, Mafuyu’s childhood friend, a former delinquent, is now her homeroom teacher. This makes for an interesting storytelling experience. Since comedy shoujo anime are a great addition to animation lineups filled with serious, and often edgy plots, Oresama Teacher would be an awesome break from the usual show. 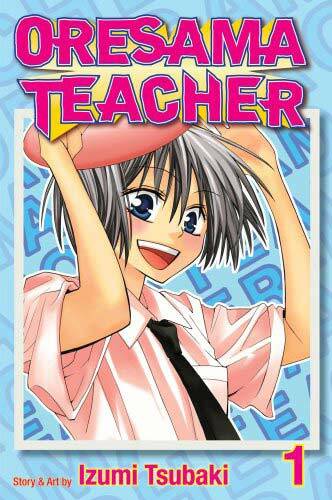 Despite being in publication since 2007, Oresama Teacher has never gotten an adaptation. Update: An anime has been announced! Fujoshi, a common name for girls and women who are obsessed with homosexual romance stories in manga and anime, is a term that is common in Japanese and anime culture today. Usually used jokingly or to mock others, women who are fujoshis fawn over male characters, often imagining or fantasizing about them being in various romantic situations. However, what if there was a story about one? This comedy/parody follows Kae Serinuma, a fujoshi who loses a bunch of weight after her favorite character dies. Once friendless, she now has a harem of boys following her, longing for her affections. However, in the true nature of a fujoshi, she literally wants them to be together, hence the title. Although this series sounds shallow, it has some depth to it. Not only does it shed light on typical shoujo stereotypes, it can be analyzed in a variety of ways. Although some of the boys are shallow/close-minded and only wanted Kae when she was “skinny”, there are a few students who like her for how she is, no matter what her size, which is truly admirable and progressive in some ways. Every page is laugh out loud funny, and it’s exciting that an anime was recently announced. Because it has been confirmed so close to the writing of the list, it’s the only exception to the established rules. Utsuho, a troublemaker, was raised by monks after unfortunate events in his childhood. However, he decides to travel the world to use “talents for mischief, and deception for good” (Wikipedia).He has several unique skills, ranging from medical aid to combat proficiency. The story is very unique, with a vibrant cast of characters and interesting situations and a morally gray main character. 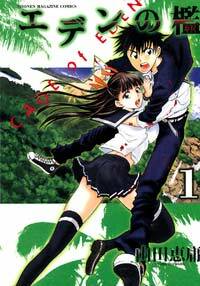 To this date, it is finished with 23 volumes and ran from 2009-2013. Walking into Barnes and Noble, one would find nearly the entire series in the manga section, proving it’s popularity. For now, there is no plans of an adaptation, but we can only hope for the future. 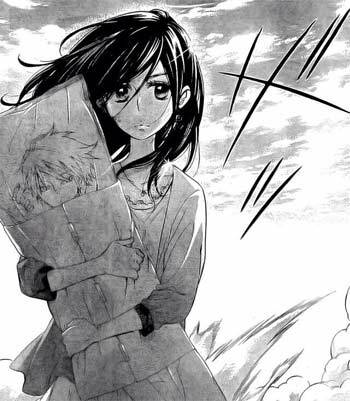 Although there are a few shoujo manga on this list, one of the ones that has surprisingly not received much recognition is High School Debut, a charming story about a tomboyish girl who goes to great lengths to find a boyfriend. Literally reading Cosmo-like magazines, she takes fashion tips that usually end in awkwardness and disaster. However, she meets one of the cutest boys (but also reserved) in school, he agrees to be her romance coach, helping her get dates. Not only is the series hilarious, it explores high school life, desperation for that storybook romance, and falling in love. Although the main character can be over-dramatic, this series has enough charm to receive a tv spot. See More Great Manga here.